Gasson, S. (2015) ‘A Brief History Of Information System Design.’ Working Paper. Available from http://www.improvisingdesign.com/bhod/ ‎ Last updated 07/02/2015. Information system design is often viewed as a stage in the system development life-cycle, concerned with the detailed “laying out” of system software – more akin to technical drawing than to design in an architectural sense. The intent of this paper is to retrieve the notion of design and to view design as an holistic activity, where form is conceptualized for a whole set of information system elements, some of which are physical and some abstract in nature. Every information system design process is unique, because every information system is embedded much more firmly in an organizational context and culture than physical artifacts. To manage this uniqueness, we need a more complex understanding of what design involves than that communicated by most IS texts. The paper presents a review of design theories, derived from IS literatures and from other relevant literatures, such as organizational management and social cognition. Friedman and Cornford (1990) identify three phases of computer system development: (i) dominated by hardware constraints, (ii) dominated by software constraints, and (iii) dominated by user relations constraints. Evolution in conceptualizations of design are presented from these perspectives, then a fourth evolutionary stage is discussed: IS design dominated by business process constraints. This fourth perspective moves the design of information systems on from the limited perspectives offered by viewing an information system as synonymous with a computer system and resolves many of the theoretical conceptualization issues implicit in recent IS design writings. At the conclusion, it is argued that current models of design focus on design closure and so de-legitimize the essential activities of investigating, negotiating and formulating requirements for an effective design. IS design faces five “problems” that need to be resolved: employing an effective model of design by with which to manage the labor process, defining the role of the information system, bounding the organizational locus of the system problem, understanding the cultural, social and business context of which the IS will be a part, and managing collaboration between cross-functional stakeholders. A dual-cycle model of design is proposed: one that focuses on “opening up” the design problem, as much as design closure. An understanding of this dialectic has significant implications for both research and practice of design; these are presented at the end of the paper. Business organizations are increasingly moving their focus ‘upstream’ in the traditional, waterfall model of the system development life-cycle. Recent trends in information system implementation – standardization around a small number of hardware and software environments, the adoption of internet communication infrastructures, object-oriented and component-based software design, outsourcing and the use of customized software packages – have standardized and simplified the design and implementation of technical systems. Organizational information systems are no longer viewed as technical systems, but as organizational systems of human activity – business processes, information analysis and dissemination – that are supported by technology. Firms can therefore focus more on the strategic and organizational aspects of information systems, implementing cross-functional information systems that affect stakeholders from many different organizational and knowledge domains. Yet existing approaches to information system design derive from a time when technical complexity was the core problem: so they are intended to bound and reduce the organizational ‘problem’ so that a technical system of hardware and software may be constructed. Existing design approaches treat complex organizational information systems as synonymous with information technology. They are based on models of individual, rather than group, problem- solving and cognition. We have few methods to enable stakeholders from multiple knowledge domains to participate in information system design. What methods exist are ad hoc and not based upon any coherent theoretical understanding of how collaborative design works. We have no models upon which to base future management approaches and methods for ‘upstream’ (from the waterfall model of the traditional, technical system development life-cycle) information system design. Winograd & Flores (1986) define design as “the interface between understanding and creation”. Unsurprisingly, given the difficulty of studying such a complex process, there are few models of design which are based upon empirical work, rather than theoretical conjecture or controlled experiments. Most models are also rooted in an individual perspective of design, rather than those group processes which occur in most IS design contexts. ” Design is also an ambiguous word. Among its many meanings, there runs a common thread, linking the intent and activities of a designer to the results that are produced when a designed object is experienced in practice. Although there is a huge diversity among the design disciplines, we can find common concerns and principles that are applicable to the design of any object, whether it is a poster, a household appliance, or a housing development.” (Winograd, 1996, page v). Given these commonalities, we have to question why the design of an organizational information system is so much more problematic than the design of a physical artifact, such as a house. In the field of architecture, design has well-established principles and procedures, with established computer-based tools to support them. Yet information system design is often viewed as a single stage in a “structured” system development life-cycle, concerned with the detailed “laying out” of system software – more akin to technical drawing than to design in an architectural sense. The intent of this paper is to retrieve the notion of design and to view design as an holistic activity, where form is conceptualized for a whole set of information system elements, some of which are physical and some abstract in nature (for example, a particular approach to the management of organizational change, the physical information system’s suitability for a particular group of users, or to its ability to provide a set of flexible organizational outcomes for a range of different stakeholder groups). For the purposes of this discussion, design is viewed as the process of conceptualizing, abstracting and implementing an organizational information system, rather than as a specific stage in the information system development life-cycle. Design is not viewed as giving form to system software, but as giving form to a whole set of information system elements, some of which are physical and some abstract in nature. The abstract elements may lead to such deliverables as a particular approach to the management of organizational change, the physical information system’s suitability for a particular group of users, or to its ability to provide a set of flexible organizational outcomes for a range of different stakeholder groups. Every information system design process is unique, because every information system is embedded much more firmly in an organizational context and culture than physical artifacts. Abstraction and generalization are therefore much more complex than that required for a universal artifact that can be employed in many different concepts. This paper draws on several literatures to derive an understanding of what design “in the round” means. Abstractions of design from the literatures on organizational theory, architectural and engineering design, human-computer interaction, computer-supported cooperative work, management information systems and social cognition are synthesized here, to present an holistic conceptualization of design as organizational problem-solving, individual and group activity, and management-oriented process models. 1) System development dominated by hardware constraints (mainly cost and reliability of hardware). 2) System development dominated by software constraints: developer productivity, expertise and team project management issues (dominated by meeting deadlines and project budgets). 3) System development dominated by user relations constraints: inadequate perception of user needs by developers and lack of prioritization of user needs. 4) (Predicted) Organization environment constraints. This paper reexamines these phases from the perspective of their impact on design methods and paradigms. The fourth phase is redefined, in the light of technical developments, which have provided ubiquitous computing platforms and simplified the development of both intra- and inter-organizational information systems. Instead, it is argued that the fourth phase constraints are to do with business and IT system alignment. This is signified by the poor involvement of business managers and other non-IS people, leading to a poor understanding of boundary- spanning business strategy and application domain issues. A brief summary of how methods relate to the evolving focus of IS design is provided in Table 1. Code-and-fix (pre-1970s) Write code, test if it works, fix problems in the code. Work out reqs,. & design as you code. Many web development projects use code & fix – inappropriately The code quickly becomes messy; the product often does not meet the requirements, and it is expensive to fix the code once established. Waterfall model – a.k.a. structured development (1970s onward) System development proceeds through a sequence of stages: requirements analysis, design, build (code & test), deliver, maintain. System requirements are defined, in collaboration with the client and users, at the start of the project. There is little feedback between stages – requirements, design, evaluation criteria, etc. are frozen and system is built and evaluated against an unchangeable spec. No systematic approach to understanding requirements, or to ensuring you have a complete set. The requirements need to be understood in detail before system development starts. Assumes that the client and users understand their requirements for support and are capable of articulating these perfectly. Users only normally get involved at the start and end of development, so poor user support is not spotted until it is too late to do anything about it. High amounts of documentation are involved. This slows development, leads to out of date documentation (things change), and systems that deliver the agreed functions but are useless for their intended purpose. version of the system, so they understand the implications of requirements before it is too late to change things. Has the benefit that system requirements can be changed as both the project team and users understand these better (within the overall project scope). Does not always involve users meaningfully – phases can be used for developers to explore requirements. Changes to requirements need to be evaluated and controlled, or “scope creep” sets in (the project cost and duration keep increasing until they become untenable). This approach needs a strong change control process, where the Project Manager negotiates additional budget and duration if additional functionality is added, or trades one area of system scope for another, with the client. Evolutionary, user-centered prototyping (mid-1980s onward) Involves cycles of development where each increment is built to satisfy a specific set of user requirements, evaluated for fit with user needs, then modified or scope evolved in the next increment. Introduces a specific user-deliverable focus. Also introduces idea of rapid turnaround (shorter development cycles, based on incremental subsets of the system scope). Prototyping approaches almost always start at the wrong point in the cycle (design, rather than requirements analysis, because the tendency is for developers to build the parts they understand). So requirements follow design and evaluation of the system, rather than driving system design. Early design decisions (e.g. the choice of an implementation platform, size of storage buffers and databases, etc.) often constrain how later user requirements can be implemented. Can be costly, as prototypes need to be thrown away and the design started over. requirements. Each cycle increases system scope or stability of system (fit with functional reqs, portability, scalability, cross-systems compatibility) of a technical system. There is no real attempt at user-requirements elicitation in this approach. The early business use-case is defined around some notional IT system and its use – this assumes that business problems are well-understood and that system goals are known. The business use-case lacks the “joined-up” nature of a data-flow analysis: as it reflects separate logical subsets of IT functionality, defined around system user-roles, there are gaps in the model where manual processes are performed, or where novel processes are needed. RUP formalization has shifted the focus away from identifying key user-roles (and their associated work-tasks) to ensuring system reliability, scaleability, and robustness. Requirements confirmation and testing increasingly emphasizes technical stability rather than meeting user needs. As a result, users only normally get involved at specific cycle end-points, so they don’t have much input into requirements. As with prototyping, features can be designed into the system before the user has a chance to understand their implications. Agile development (late 1990s onward) User-requirements drive cycles of incremental development. Each increment is built to satisfy a specific set of user feature-requests (a.k.a. use-cases). Each increment is evaluated for fit with operational user needs, then scope & requirements are reviewed before next increment. Developers got together to swap notes on workarounds for increasingly formalized methods that took too much time and did not satisfy user needs. iii) client-driven prioritization of development goals. This approach can be perceived as a bottomless money pit (especially by corporate accountants). Because it blurs the line between system development and maintenance, there is no point at which the system can be considered stable (unless the number of cycles or functionality is constrained by predefining project duration or scope – which defeats the point). Because of this, agile devt. is not a good choice for enterprise systems or systems to be integrated with other systems – although it may be used to explore user requirements for subsystems that are later enhanced to be cross-functional and scalable using an RUP approach. with the prototyping approach from which it developed, system prototypes may be thrown away, so a lot of time may be wasted. devices. One telecoms device will act as a router, sending instructions to multiple lower-level devices that control different network routes. The Object-Oriented modeling approach emerged through the work of (Rumbaugh, 1991; Booch, 1991; and Jacobson, 1992), who developed O-O principles (object-classes and inheritance, the association of data-structure/object definitions with specific process/methods, and the relative independence of objects and their methods from other objects, coordinated by messages rather than sequential, monolithic code) for business applications. Use-cases were an afterthought, when Ivar Jacobson defined his variant of O-O design around subsets of functionality associated with different user Roles, Products, and Tasks. This was formalized by Rational Software in 1997, to improve quality and predictability by adding performance testing, UI Design, data engineering, & PM controls. The resulting approach became the RUP. 1.3 Relating IS Design Methods To Models of Problem-SolvingDesign is most frequently equated with theories of decision-making and problem-solving in organizations. The following sections analyzes the development of how we understand problem-solving in design and traces the impact of evolving problem-solving models on design approaches for organizational information systems. This evolution is shown in Figure 1. It is argued in this paper that, as the scope of organizational impact encompassed by information systems increased with time, so did the importance of integrating contextual and social requirements, for the system to operate. Figure 1: Evolution Of Design Methods Following Evolution Of Problem-Solving ModelsThe paper is structured as follows. 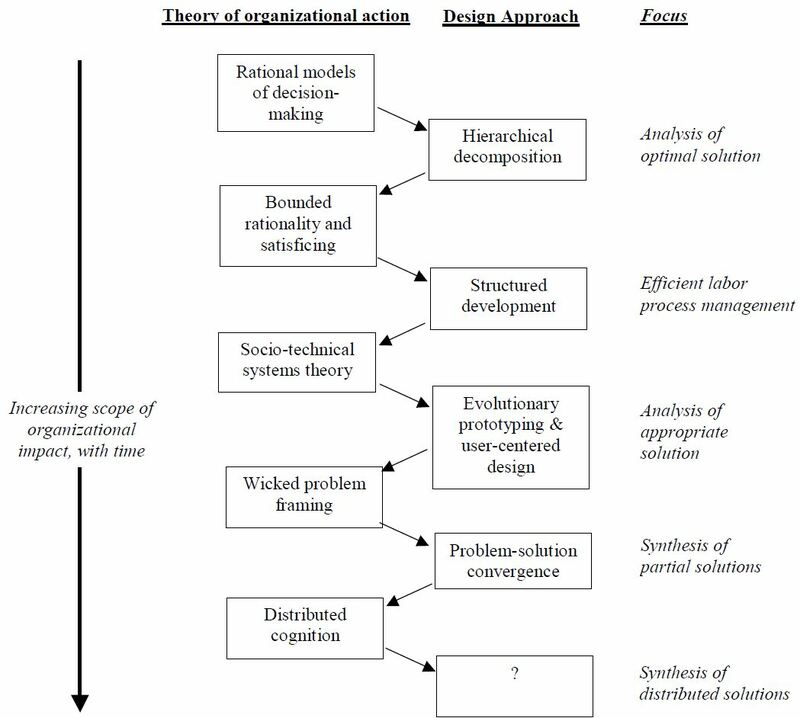 Theories of design, as they relate to organizational information systems, are presented from the evolutionary perspective of the five theories of decision-making. But theories of design do not follow a linear development of thought: they are interrelated and emergent. Relevant design theories are arranged according to the identified research threads, to reflect progressive and sometimes parallel developments in how design is perceived by the organizational and IS literatures. The use of Friedman and Cornford’s (1990) “constraints” view of computer-system development permits a reasonable (if post-justified) perspective of why various theories were adopted by the IS community (both academic and practical) at a particular stage in the development of how IS were perceived. Section 2 deals with the evolution of early design theories: the attempt to apply, and modify, rational, “information processing” models to the development of systems limited by hardware constraints. Section 3 discusses the adoption of hierarchical decomposition and “structured” approached to design, as a way of dealing with software constraints. Section 4 presents the incorporation of theories of social construction, emancipation and “human-centered” design as a way of dealing with user- relations constraints. Section 5 presents the extension of design theory to encompass boundary- spanning information systems and discusses this extension as a response to strategic business coordination constraints. Section 6 summarizes the evolution of design theories, discusses some lacunae in current understandings of how design works and presents a dual-cycle model of design, to resolve some of the implications for design research and practice.2. FROM RATIONAL DECISION-MAKING TO BOUNDED RATIONALITYThe concept of “rational” decision-making developed from Taylor’s (1911) “scientific management” principles and Weber’s (1922) “rationalization” of the social world. Both of these theories were concerned with optimization and quantifiable interpretations of natural phenomena, including human behavior. Simon’s (1945) book Administrative Study formalized rational decision-making into a linear, staged process model of intelligence-gathering, evaluation of alternative courses of action and choice. Early information system (IS) design theory stems from this perception of human behavior in organizations as rational decision-making. Human beings are seen as objective information processors, who make decisions rationally, by weighing the consequences of adopting each alternative course of action. One stage uses the outputs of the previous stage (hence the waterfall model of Royce, 1970). The information processing model of problem-solving (shown in Figure 2) assumes that all information pertaining to design requirements is available to the designer and that such information can be easily assimilated (Mayer, 1989). Figure 2: An Information-Processing Model of Problem-Solving (after Mayer, 1989)In the information processing model, design involves moving from a statement of the problem in the world to an internal encoding of the problem in memory by mentally encoding the given state, goal states, and legal operators for a problem – i.e. by defining the problem mathematically. Solution involves filling in the gap between the given and goal states, devising and executing a plan for operating on the representation of the problem – i.e. by making a rational choice between alternative courses of action.Two major advances in design theory modified, but did not replace, the notion of rational design. The first was that Alexander (1964) proposed that there is a structural correspondence between patterns embedded within a problem and the form of a designed solution to solve the problem.Alexander proposed the process of hierarchical decomposition – breaking down the overall design problem into a series of smaller problems (patterns) which can be solved independently from each other – as a way to accomplish complex problem-solving where all variables could not be grasped at once. The structure of an appropriate solution may then be determined mathematically, by analyzing interactions between the variables associated with the design problem (Alexander, 1964). As Lawson (1990) notes, this presupposes that the designer is capable of defining all the solution requirements in advance of designing the solution, that all requirements assume equal importance for the solution and that all requirements and interactions between them affect the form of the proposed solution equally. But there is a deeper consideration. Do external “patterns” exist, or do we simply impose them subjectively on external phenomena? Alexander himself (1966) criticizes the human tendency to artificially impose patterns on external elements that may constitute a design (in his example, he discusses architectural considerations affecting town planning). Yet there is a contradiction in Alexander’s position: even his recent work assumes that patterns are somehow inherent in external “entities” and therefore that his method of pattern-matching may be employed to define objects for object- oriented system design (Alexander, 1999).The second advance was that Simon (1960) introduced the principle of bounded rationality. Human-beings have cognitive limitations which constrain the amount of information they can absorb and that they have access to incomplete information about alternative courses of action. These limitations lead to high levels of uncertainty, to which humans respond by developing a simplified model of the real situation: they reduce, constrain and bound the problem until it becomes sufficiently well-defined to be resolved. Then they evaluate alternative solutions sequentially until an alternative is discovered which satisfies an implicit set of criteria for a satisfactory solution. The solution reached by this process of bounded rationality is not optimal, but satisficing, in that it satisfies a minimal, rather than optimal set of solution criteria.This theory only appeared to apply to a subset of relatively well-defined design problems. Simon (1973, 1981) distinguished between well-structured and ill-structured problems. Well-structured problems may be resolved through the application of hierarchical decomposition techniques. But ill-structured problems (such as the design of a computer system) need to be structured before they can be analyzed. Individuals structure such problems by decomposing them into sub- problems: these are synthesized unconsciously so that the original, ill-structured problem “soon converts itself through evocation from memory into a well-structured problem” (Simon, 1973). The significance of this is worth noting: the process of problem structuring requires additional information, retrieved from long-term memory. This demonstrates a gradual realization that inductive reasoning (generalization from evidence) is significant in design. The “rational” model assumes deductive reasoning (logical inference about particulars that follows from general or universal premises). Even Alexander (1964) did not view the design process as entirely rational. In fact, he observes:“ Enormous resistance to the idea of systematic processes of design is coming from people who recognize correctly the importance of intuition, but then make a fetish of it which excludes the possibility of asking reasonable questions.” (Alexander, 1964, page 9).By Simon’s (1973) work, what Alexander refers to as “intuition” has become the application of inductive reasoning. However, a realization of the significance of inductive reasoning appears to lead to the notion that design is wholly “creative” in nature and therefore uncontrollable. Inductive reasoning involves conclusions drawn from particular cases in the individual’s experience (the inference from particular to general), which is the antithesis of deductive reasoning, such as that involved in hierarchical decomposition. Thus, we come to the period of IS design dominated by pressures to manage the labor process. e) the problem is interrelated with many other problems: it can be seen as a symptom of another problem and its solution will formulate further problems. The human-centered approach rejects the idea of the “one best way” of doing things (Taylor, 1947): that there is one culture or one way in which science and technology may be most effectively applied (Gill, 1991). Technology is shaped by, and shapes in turn, social expectations: the form of technology is derived from the effect of these social expectations upon the design process (MacKenzie and Wajcman, 1985). 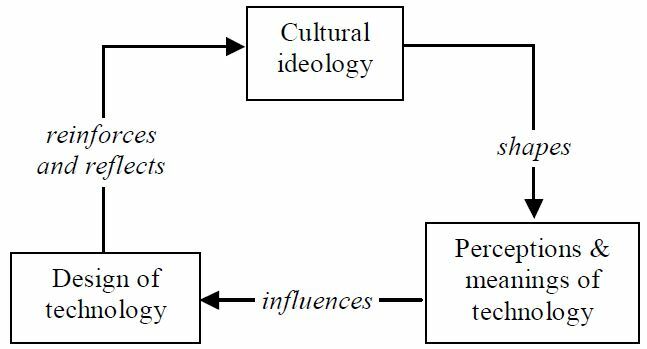 This social constructivist approach reveals the social interior of technological design: technology no longer stands as an independent variable, but an outcome which is the result of socially-constrained choices made by designers. The human-centered approach is opposed to the traditional, technically-oriented approach, which prioritizes machines and technically-mediated communications over humans and their communicative collaboration (Gill, 1991). While technically-oriented design traditions see humans as a source of error, the human-centered design approach sees humans as a source of error-correction (Rosenbrock, 1981). That human-centered production should concern itself with the joint questions of “What can be produced?” and “What should be produced?” The first is about what is technically feasible, the second about what is socially desirable (Gill, 1991). That objective and subjective knowledge cannot exist independently of each other: while technologists attempt to encode the explicit, rule-based knowledge needed to perform a task, this knowledge is useless without the “corona” of tacit and skill-based knowledge which surrounds the explicit core and through which explicit knowledge is filtered (Rosenbrock, 1988). Cooley (1987) raises the issue that modern technology is designed to separate “planning” tasks from “doing” tasks (for example, in modern Computer-Integrated Manufacturing). This results in deskilled human technology users, who are less equipped for exception-handling as a result, and poorer work outcomes, as those who plan are uninformed by seeing the results of their plans and those who “do” are unable to affect the way in which work tasks are approached. The model represents a macro level representation of development: it does not address outputs from effective design processes and it does not represent the behavioral issues which managers face in real-life IS development. The skills required at different stages of the cycle are unrealistic: it is not feasible to expect the same group of developers to possess (or to acquire) skills in both detailed technical design and risk analysis. The model cannot be said to represent IS development practice, even at a macro level: Boehm (1988) admits that it is not based on empirical observations, nor has it been tested experimentally. An organizational information system is a system of human-activity supported by an IT system. The task of information system design is to investigate the problem-situation concerning a particular human-activity system and to determine appropriate interventions, only some of which may involve IT system design. Any human-activity system involves multiple sub-systems of tasks, performed for multiple purposes. A major priority for information system design is for the designer, participants and other stakeholders in the human-activity system to understand and to separate conceptually the purposive systems that constitute the whole. Different information system stakeholders have different worldviews that cause them to interpret the meaning and purpose of human-activity in different ways. To succeed in implementing an information system that will benefit the majority of stakeholders, the design process must focus on the collective negotiation of requirements for action. Selection of appropriate scope(s) for organizational intervention(s), such as the design of a new information system (work-task changes plus IT system support), should be made explicit to all system stakeholders and subject to consensus agreement. 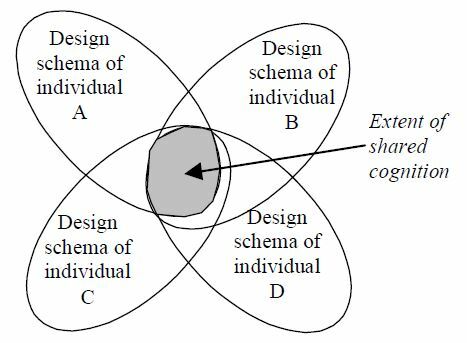 Effective, shared design understanding of design needs results from repeated revisiting of design problem definitions by stakeholders. This is driven through the introduction of a new ‘primary generator’ idea. Too early a closure of the problem is counter-productive. It is not feasible for each member of a collaborative design team to understand all of the design rationale for a complex organizational information system. Readiness for problem closure (and solution specification) is gauged by the extent to which the team share an understanding of organizational goals and outcomes, not by the extent to which they share an understanding of the designed system. The effectiveness of a design is constrained by the need to manage external perceptions and expectations of design outcomes. Successful expectation-management is key to successful evolution of the design, as stakeholder understanding of the design problem improves. The extent to which a shared understanding of organizational goals was found to be more critical than a shared understanding of design outcomes to group perceptions of design completeness: an initial, dual-cycle model of collaborative design processes was proposed (Gasson, 1998a). The model is shown in Figure 11. Show progress and iterations of the following process model of design:- opening up activity: requires detailed investigation of how the organization works (not just how individual domains work) – need to understand target system in terms of work-processes, information use and interactions with other organizational systems of work – in doing so, team members construct process goals (how they want to affect the organization), – which enable them to effectively move into second loop of operation:– progress (delegation) only possible once team-members trust each other enough to hand off parts of design – happens only when process goals are shared – then move on to closing down loop;- breakdown (collective) occurs when product goals conflict with what has been designed – need to reframe process goals collectively in terms of expanded understanding of role of designed process in larger organizational process – this requires return to original loop of operation (opening up), to define new goals and boundaries;- once new process goals are agreed, can move back to closing down loop, to division of labor in designing details of new process and determining collective action to implement this. The dialectic expressed by the dual-cycle model is critical in our understanding of what design is. It is counterproductive to artificially separate problem articulation from solution formulation. Problems and solutions converge, at an individual level, at a group level and in the politically- negotiated organizational processes that surround design activity. 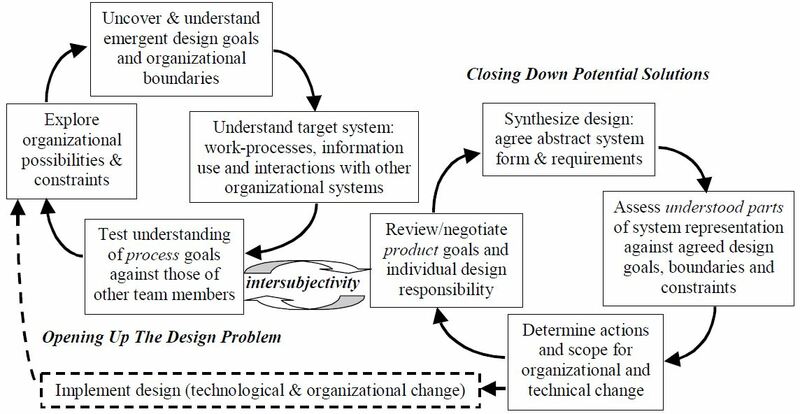 Current models of design focus on design closure and so delegitimize the essential activities of investigating, negotiating and formulating design problems. A dual-cycle model of design is proposed: one that focuses on “opening up” the design problem, as much as design closure. An understanding of this dialectic has significant implications for both research and practice of design that are discussed at the end of the paper. The implications for research are that this type of model needs to be investigated in practice and its contingencies understood. How well does this type of “dual-cycle” model fit with the activities required for effective design? What elements drive this type of model, how do we ensure an effective cycling between inquiry and closure, and how do we recognize design stopping points? 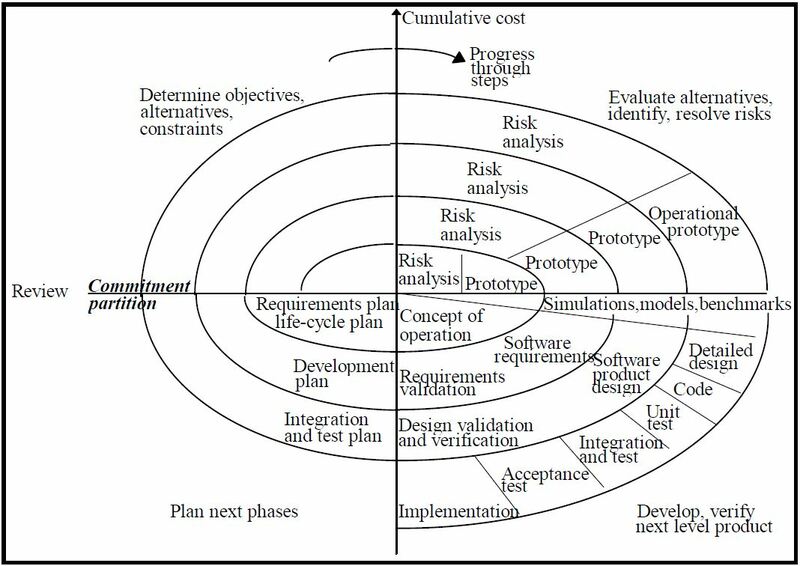 The implications for practice are that we need to understand the contingencies of this type of model for IS design process management. How do we assess progress, for such an iterative model? How do we plan IS design and development projects, in a way that ensures agreement from project sponsors and a definition of interim deliverables? These questions remain to be answered. Alexander, C. (1999) ‘The origins of pattern theory: The future of the theory, and the generation of a living world’, IEEE Software Sept-Oct. 1999, pp 71-82. Argyris, C. & Schön, D. (1978) Organizational Learning: A Theory Of Action Perspective, Addison-Wesley, Reading, Mass. Barry, C. and Lang, M. (2003) “A comparison of ‘traditional’ and multimedia information systems development practices,” Information and Software Technology (45:4), 217-227. Beck, K. (1999) eXtreme Programming Explained: Embrace Change, Reading, MA: Addison-Wesley. Berger, P.L. and Luckman, T. (1966) The Social Construction Of Reality: A Treatise In The Sociology of Knowledge, Doubleday & Company Inc., Garden City, N.Y.
Bertanlaffy, L. von (1968) General System Theory, Braziller, UKBeynon-Davies, P. and Holmes, S. (1998) “Integrating rapid application development and participatory design,” Software, IEE Proceedings (145:4), 105-112. Boehm, B.W., Gray, T.E., and Seewalt, T. (1984) “Prototyping Versus Specifying: A Multiproject Experiment,” IEEE Transactions on Software Engineering (SE-10:3), 290-302. Brown, J.S. & Duguid, P. (1991) “Organizational Learning and Communities of Practice: Toward a Unified View of Working, Learning, and Innovation”, Organization Science, Vol.2, No. 1, pp. 40-57. Burrell, G. (1983) ‘Systems Thinking, Systems Practice: A Review’, Journal Of Applied Systems Analysis, 10. Butler, T. and Fitzgerald, B. (2001) “The relationship between user participation and the management of change surrounding the development of information systems: A European perspective,” Journal of End User Computing (13:1), 12-25. Carroll, J.M. and Rosson, M.B. (1992) “Getting Around The Task-Artifact Cycle How To Make Claims and Design By Scenario,” ACM Transactions on Information Systems (10:2), 181-212. Cavaye, A.L.M. (1995) “User Participation In System Development Revisited,” Information & Management (28:5), 311-323. Checkland, P. (1981) Systems Thinking, Systems Practice, John Wiley & Sons, Chichester.Checkland, P. and Holwell, S. (1998) Information, Systems and Information Systems: Making Sense of the Field, Chichester UK: John Wiley & Sons. Cooper, A. (1999) The Inmates Are Running the Asylum: Why High Tech Products Drive Us Crazy and How To Restore The Sanity. Sams Publishing. Fowler, M. (2003) “The New Methodology,” Online at http://www.martinfowler.com). Fowler, M. and Highsmith, J. (2001) “The Agile Manifesto,” Software Development Magazine). Friedman, A.L. (1990) ‘ Four Phases of Information Technology – Implications for Forecasting IT Work’, Futures, Guildford, Vol. 22, No 8., pp. 787-800. Gane, C. & Sarsen, T (1979) Structured Systems Analysis: Tools and Techniques, Prentice-Hall, New Jerseyasson, S. (1998) ‘Framing Design: A Social process View of Information System Development’, in Proceedings of ICIS ’98, Helsinki, Finland, December 1998, pp. 224 – 236. Gasson, S. (1999) “The Reality of User-Centered Design,” Journal of End User Computing (11:4), 3-13. Highsmith, J. (2000) Adaptive Software Development: A Collaborative Approach to Managing Complex Systems, New York, NY: Dorset House Publishing. Howcroft, D. and Wilson, M. (2003) “Participation: ‘Bounded freedom’ or hidden constraints on user involvement,” New Technology, Work, and Employment. (18:1), 2-19. Hutchins, E. (1991), ‘The Social Organization of Distributed Cognition’, in Lauren B. Resnick, John M. Levine, and Stephanie Teasley (eds.) Perspectives on Socially Shared Cognition, Washington, DC: American Psychological Association. pp. 283-307. Kirsch, L.J. and Beath, C.M. (1996) “The enactments and consequences of token shared and compliant participation in information systems development,” Accounting Management and Information Technology (6:4), 221-254. Land, F. and Hirschheim, R. (1983) ‘Participative Systems Design: Rationale, Tools and Techniques’, Journal Of Applied Systems Analysis, Vol. 10. Lehaney, B., Clarke, S., Kimberlee, V., and Spencer-Matthews, S. (1999) “The Human Side of Information Development: A Case of an Intervention at a British Visitor Attraction.,” Journal of End User Computing (11:4), 33-39. Lewin, Kurt (1951). Field theory in social science: Selected theoretical papers (D. Cartwright, Ed.). Harper & Row, New York. Malhotra, A., Thomas, J., Carroll, J., and Miller, L. 1980. “Cognitive Processes in Design,” International Journal of Man-Machine Studies (12), pp. 119-140. Markus, M.L. and Bjorn-Andersen, N. (1987) “Power over users: its exercise by system professionals,” Communications of the ACM June 1987 (30:6). Mumford, E. and Weir, M. (1979) Computer Systems in Work Design: the ETHICS Method, New York NY: John Wiley. Nelson, D. (1993) “Aspects of Participatory Design – Commentary on Muller et al. 1993,” Communications of the ACM (34:10), 17-18.Nelson, E. (2002) “Extreme Programming vs. Interaction Design,” FTP Online Magazine:January 15). Preece, J., Rogers, Y., and Sharp, H. (2002) Interaction Design: Beyond Human-Computer Interaction, New York, NY: Wiley. Royce, W. W., (1970) ‘Managing the Development of Large Software Systems: Concepts and Techniques’, in Proceedings of WESCON August 1970, pp 1-9. Reprinted in: Proceedings ICSE 9, Computer Society Press, 1987, pp. 328-338. Rumbaugh, J. (1991) Object-Oriented Modeling and Design. Prentice HallScarbrough, H. and Corbett, J.M. (1991) Technology and Organisation: Power, Meaning and Design, Routledge. Schön, D.A. (1983) The Reflective Practitioner: How Professionals Think In Action, Basic Books, NYSimon, H. A. (1957) Models of Man: Social and Rational, New York: John Wiley. Star, S. L. (1989), ‘The Structure of Ill-Structured Solutions: Boundary Objects and Heterogeneous Distributed ProblemSolving’, in L. Gasser and M. N. Huhns (eds.) Distributed Artificial Intelligence, Vol. II. San Mateo, CA: Morgan Kaufmann Publishers Inc., pp. 37-54. Winograd, T. & Flores, F. (1986) Understanding Computers And Cognition, Ablex Corporation, Norwood, New JerseyWinograd, T.A. (1994) “Designing a language for interactions,” interactions (1:2), 7-9. Winograd, T. (1996) “Introduction,” In: T. Winograd (ed.) Bringing Design To Software, New York NY: Addison-Wesley Publishing. This paper represents a work in progress. All contents copyright © Susan Gasson, 2005-2015. Contents may not be reproduced or linked to any other site without permission from Dr. Susan Gasson.